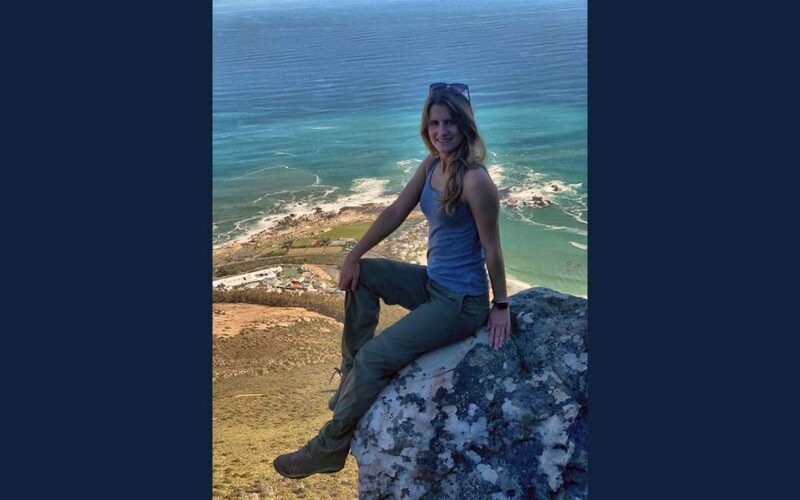 Master of Science in Entrepreneurship student Stefani Harrison in South Africa as part of EESA. The Entrepreneurship and Empowerment in South Africa (EESA) Program is the hardest study abroad trip I ever pursued and has made the most meaningful impact on my life. For 20 years, Professor Michael Morris has put together this program that turns students into business consultants and works to bring the businesses of historically disadvantaged entrepreneurs in South Africa to the next level. Undergraduate and graduate students from the University of Florida, University of Colorado, Texas A&M, Oklahoma State University, and University of Western Cape must make the transition from students to professionals and become consultants to aid entrepreneurs within the townships of Cape Town, South Africa. The program is six weeks of intense consulting work that brings a greater appreciation for what can be accomplished with limited time and resources. As a Master of Science in Entrepreneurship student, I wanted to put myself in a situation where anything could happen, could go wrong, and required a lot of concentration, dedication and work to help someone else. I pursued the challenge of EESA because it is the most hands-on, experience-based, entrepreneurial learning experience you can receive in college. EESA is the perfect opportunity to better understand the process of entrepreneurship and to better pursue opportunities and utilize resources. EESA consultants face real-life challenges and develops participants into team players. You work with a group of people you have never met before to better the lives and businesses of others. While in South Africa, I worked in a team of six where we identified key issues for a food truck business and a seamstress business. Together, we developed S.E.E. (Supporting Emerging Enterprises) Models, identified methods to improve the business and created deliverables (processes, techniques and tangibles) designed to help the businesses progress for the next six to 12 months. The constant late nights, large amounts of work, and changing conditions helped me to improve as an entrepreneur by teaching me to recognize and assess opportunities, mitigate risk, leverage resources, maintain focus, adapt, and enhance my resilience in a stressful and adverse environment. The program’s motto, “in the spirit of Masikhule” means to “grow together” and was the foundation of my experience. Not only did I grow and develop as an entrepreneur, but I grew and developed with my team and clients to create a difference in all of our lives.